The Rusty Wright Band is known as a standout blues group - it won the Detroit Blues Challenge in 2010 and made it to the semifinals at the International Blues Challenge in Memphis - but the band's latest CD, "This, That & the Other Thing" (Sadson Music) shows off the versatility of singer-guitarist Rusty Wright, who wrote nine of the 11 tunes on the CD. "It's a real mixed bag, and that's how the title came about," said singer-guitarist Laurie LaCross-Wright, who co-headlines the group. "Growing up, the albums we both appreciated were the ones that surprised us. Back in the '70s, you rarely heard an album that just had one groove all the way through -- where when you heard one song and the rest were exactly the same. "We looked forward to being surprised, and that was his intention (with this record)." Laurie was a fan of Rusty's music long before they started dating and got married. She first met him when she was working as a newspaper reporter. "I've watched him progress since the early '90s," she said. "After interviewing him, I kept track of him over the years and he would send me cassettes at times, with a few more songs on them. I could see his stuff percolating and watched his songwriting and music progress. "Later, I got to see his progression and how his ideas came about. I'm in awe of his abilities, these songs just sort of pop into his head fully formed. "He hears all the parts in his head." Even the two cover tunes on the CD - AC/DC's "Whole Lotta Rosie" and Mountain's "Mississippi Queen" - show creativity. "On the AC/DC song, he totally redid the music," LaCross-Wright said. "It sounds nothing like the original. I listened to AC/DC's version on YouTube and I just giggled for four minutes, it was so different. "Rusty said he wanted to steal one back for the blues, since the rock guys have taken so many blues songs." "Mississippi Queen" has a cool Delta spoken word intro and outro. "We have so much fun playing that, with the center section when the three-part harmony hits," she said. "We debuted it in November at The Whiting when we opened for Kenny Wayne Shepherd. We started our set with that song and people loved it." The CD also shows off Rusty's extensive vocal range, which Laurie said comes from his upbringing. "His mother was an opera and gospel singer, and his father was a gospel music promoter. As soon as he was able to play four chords on the guitar, they put him in the band. "He grew up surrounded by the gospel harmonies and heard the high-soaring vocal techniques since he was a kid. He can sing the dirty, gritty stuff, too." The Wrights are joined in the Flint-based band by keyboardist Dave Brahce, bassist Dennis Bellinger, and drummer Peter Haist. Brahce was been in the band since 2007 and shines on jams with Rusty on songs such as "Man On Fire" from the new CD. Peter Haist joined the band a year later and has continued as a key member despite developing eye problems that have left him legally blind. Bellinger, the former bassist with Grand Funk, joined last June after former bassist Andy Barancik went into the ministry full time, something Laurie said the Wrights knew would eventually happen. The band will officially debut the new recording -- which has been charting on Touchtunes, the Relix Magazine jam bands chart, the Living Blues chart, the Roots Music Report blues chart and the Americana Music Association charts -- at a CD release party Friday night, March 29 at Callahan's Music Hall in Auburn Hills. For information, click atcallahans.com. For more on the Rusty Wright Band, click www.rustywrightblues.com. 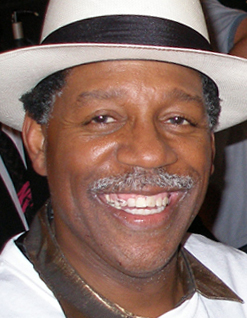 Sweet Willie Tea will be the featured artist as the Southfield Public Library, 26300 Evergreen Road, hosts its Jazz & Blues program at 6:30 p.m. Wednesday. 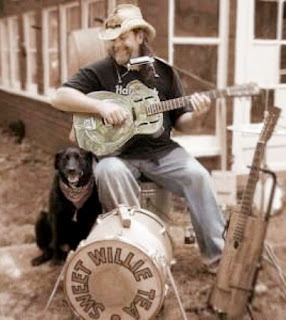 Sweet Willie Tea is a one-man band who plays authentic American music. He performs both traditional and original songs along with his unique self-accompanying percussion and shares historical facts about the instruments. Sweet Willie Tea was the winner of the 2012 Detroit Blues Challenge solo/duo competition and represented the Detroit Blues Society at the International Blues Challenge in Memphis, Tenn.
General admission is $5 ($3 for Friends of the Southfield Public Library members). Children under 12 are admitted free. For more information, call the Guest Services Desk at 248-796-4224 or click www.southfieldlibrary.org. The Big Damn Blues Revolution Tour, featuring Reverend Peyton's Big Damn Band, Jimbo Mathus and Alvin Youngblood Hart, stops at the Magic Bag in Ferndale on Friday. Reverend Peyton’s Big Damn Band is supporting the release of its new recording "Between The Ditches." Tickets are only $18 in advance, $20 at the door. It's sure to be a great show. For information, call 248-544-1991 or click themagicbag.com. Blues-rockers The Fabulous Thunderbirds have released their first new full-length studio recording in nearly a decade. "On The Verge" (Severn Records) is now available online and in stores. The band, anchored by original front man Kim Wilson, explores their soulful side with 10 original numbers. For more info, go to www.FabulousThunderbirds.com. The Broken Arrow Blues Band, one of Detroit's top blues and boogie bands, is heading down South for a tour. The band will perform at The Office in Athens, Ga., on March 8; Darwin's Burgers & Blues in Marietta, Ga. on March 9; Grant's Lounge (the "birthplace of Southern rock") in Macon, Ga. on March 15; Snook Haven in Venice, Fla. on March 17; Sharky's on the Pier in South Venice, Fla. on March 18; and a private party in Tennessee on March 20. 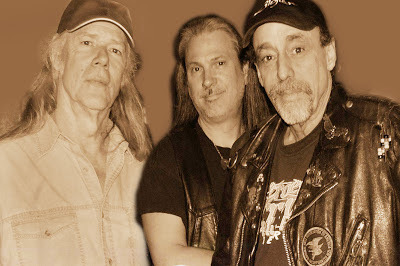 Band members include Gary “Shadowhawk” Ellis (vocals, drums), Chris Leigh (vocals, guitar), and Gary Rasmussen (bass). This is a very experienced and talented unit. Shadowhawk and Leigh both started their careers with classical training as youngsters and have played in several bands together, including The Boogie Chilluns for six years. 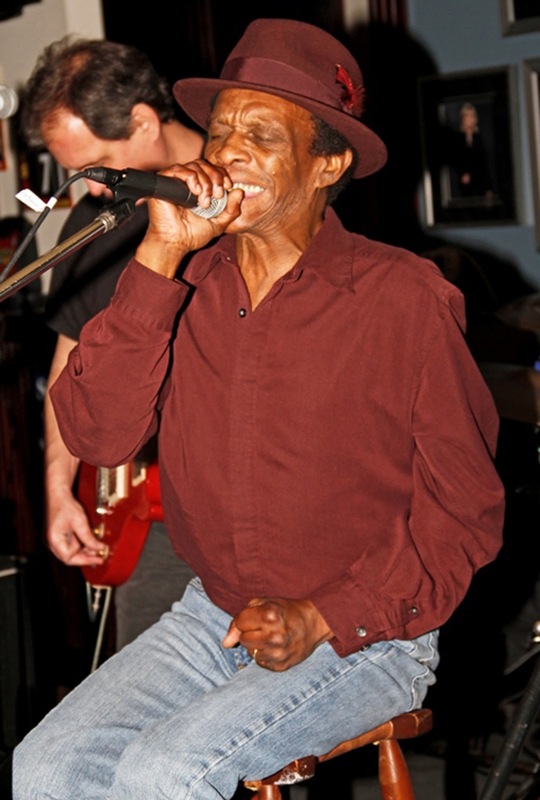 Shadowhawk has 11 releases to his credit with four different bands, including The Blind Dog Blues Band, with guitarist Charles "Pat" Patton. It would be difficult to find a more experienced bass player than Rasmussen, who got his start with the Detroit proto-punk band The Up! in 1967. The Up! was one of the house bands at the legendary Grande Ballroom. 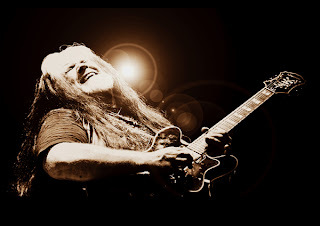 He was also a member of Sonic’s Rendezvous Band with MC5 guitarist Fred Sonic” Smith, and the Scott Morgan Band with singer Scott Morgan of The Rationals and drummer Scott “Rock Action” Asheton of The Stooges. He has toured worldwide and has played or recorded with a wide variety of artists, including Patti Smith and bluesman Alvin Youngblood Hart. Broken Arrow’s next local performance will be at the Temple Gospel & Blues Explosion at the Masonic Temple in Detroit on April 13. For more info on the band, click www.brokenarrowbluesband.com.